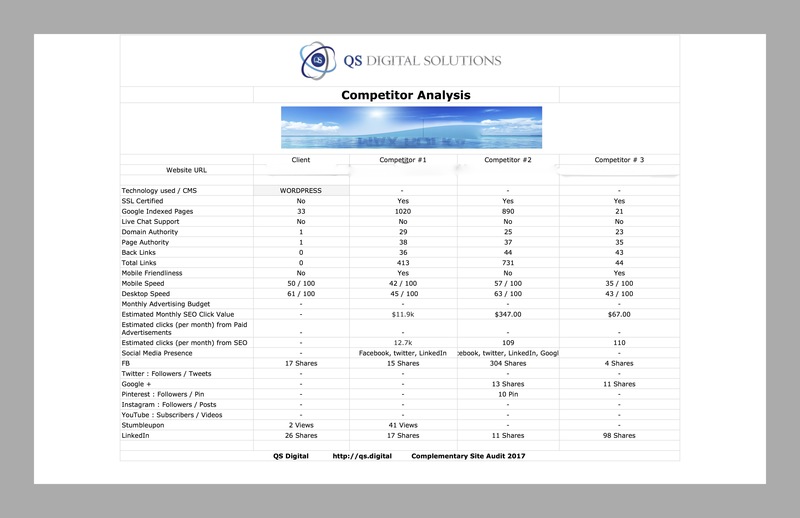 Let QS Digital provide a Competitor Analysis for you and your Digital Business as we start to build a relationship together. Submit this form now and get a kick-start towards getting your business back on track in the Digital World with QS Digital Solutions. We will show you how your site stacks up against up to 3 competitors.